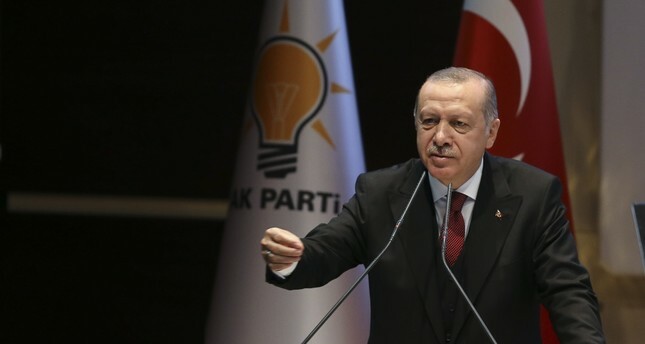 Addressing his Justice and Development Party's (AK Party) event on World Urbanism Day, President Recep Tayyip Erdoğan called for adoption of "horizontal architecture" instead of tall buildings that became a staple of Turkish cities in past years. "Our ancestors would first build [social facilities] when they started building cities and towns. They would first build a mosque, then a Turkish bath and a cemetery. Houses would only be built later after they surrounded it with trees," Erdoğan told the event held in Ankara yesterday. He said this concept was not available today. "We call for horizontal architecture, not vertical architecture. You have to build social facilities first and plant trees. People should be able to say that we did everything for the environment first before they settle in a place," he said. Erdoğan, a former mayor credited with the redevelopment of the country's most populated city, Istanbul, has previously expressed his worries about the current state of cities where development is "driven by personal greed rather than a consideration for people's needs." As land is becoming scarce and worries remain on possible major disasters in the country that sits on several active fault lines, Turkey has undertaken an ambitious urban transformation project. Old buildings, mostly those built before the 1999 earthquake that killed thousands of people in western Turkey, are gradually being demolished and property owners are relocated to new buildings as part of the project. Urban transformation is also allowing the country to rebuild haphazardly planned sections of growing cities.